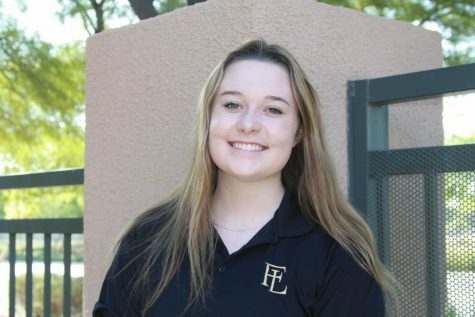 Bailey Friel, a senior at FLHS, will be attending her 7th and final year at Faith. Bailey is the Student Body President, and is also involved in DECA, ViSA, honors institute, and National Honors Society. She enjoys reporting on sports news and anything new happening around campus. This is her second year in broadcast journalism and is excited to continue her work as a reporter and producer for the FLNN. Bailey is looking forward to being a part of the journalism team this year.